The first installation- though it be temporary- is up now inside Science World, 2nd Iteration will be moved outside into a different configuration when the construction is complete. 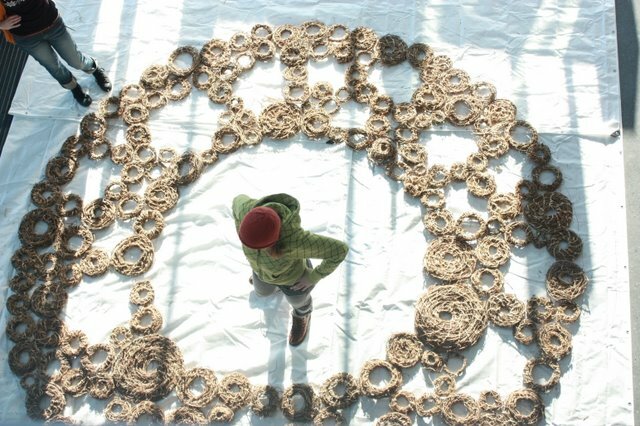 Over 275 coil rings of invasive English ivy from Stanley Park have been made by community members throughout 2011 using a simple coil basketry technique. 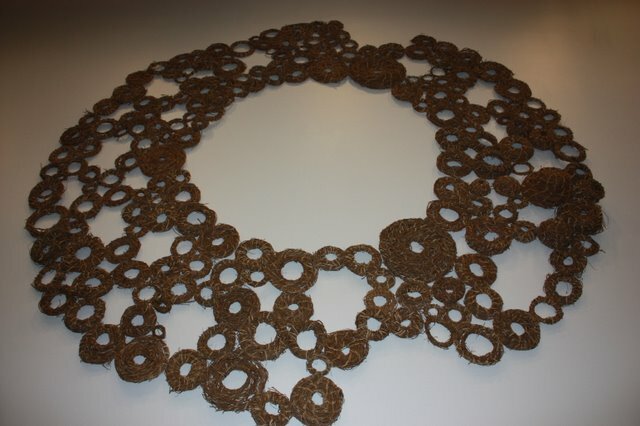 The pieces are sewn into a fractal pattern; the coiled rings tightly packed together to make larger coiled rings, with those rings also packed together in one large circular formation. 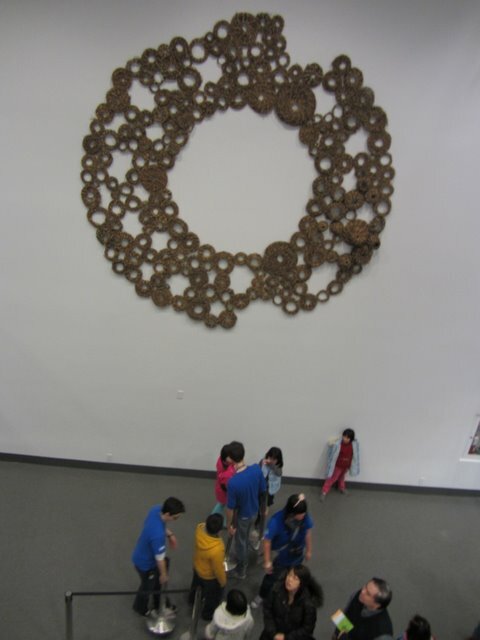 The work utilizes packing principals in nature and references looking through a microscope or at a petri –dish. The community component of many hands participating in making the work also speaks to everyone having a role to play within our human community, or all plants participating in a healthy ecological community- small coils are as important as the larger pieces for packing to be achieved, and addresses how a healthy community- ecological and human- best functions. Everybody participates, nothing dominates but a balance is maintained. This work was first installed in Stanley Park as The Coiled River for Summer Live and will be installed in its final, third iteration on the outside fence when the outdoor construction project is complete. working out the details for sewing together… many thanks go to Derek, Haruko, Penny, Emily, Rachel, Billy, Maggie, Janet and Anne for help in getting the work done!